Our family are experts to your family when it comes to Air Conditioning, Heating & Plumbing for your home and business near Panorama Village, TX. Our family gives you our personal promise that we won’t be happy until you’re 100% satisfied! Our reputation is based on your 100% satisfaction, and we take that promise seriously. It’s a part of our company mission! Very professional, efficient and pleasant! I have used Bradbury Brothers service in the past. I am very pleased with the call to make the appointment for repairs and the knowledge and professionalism of Shane. He is very personable and explains the problem and the solution well and efficiently completes the needed repairs. 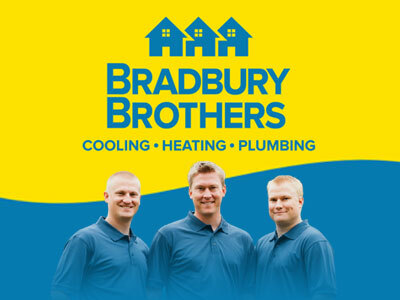 I definitely will continue to call Bradbury Brothers for any future plumbing needs. Thank you. Air conditioner not blowing cold air. AC repair and maintenance on Lennox 10 year old system. Check refrigerant pressure and evaporator coils. Clean outside unit and replace air filter. HVAC working properly. Air conditioner trouble shooting unit not cooling. Air conditioning repair on 10 year old Lennox HVAC system. Clear drain lines, replace air filter, clean evaporator coil and add Freon. AC maintenance complete which will help lower cooling cost for this residential customer. Cooling system is now ready for hot summer weather. Provide system operation report and recommend follow up in 6 months. Repair hose bibs. Recommend navien tankless water heater and watts water softener. Performing a heat tune up on a Trane system for one of our Comfort Club Members. Rated Bradbury Brothers Cooling, Heating & Plumbing out of 4.9 reviewsVery pleased with our camera system. Every angel of the outside of our home is monitored. The install was fast and hassle free for my husband and I. We are so happy. It feels good to have that extra protection.